One hundred and thirty-two runs. 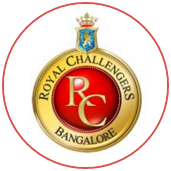 That's all Royal Challengers Bangalore needed. A little over 13 runs per wicket, only 6.6 runs an over, with Chris Gayle, Virat Kohli and AB de Villiers in their side. Against quality pace bowling led by the astute Gautam Gambhir, the most glittering batting line-up in Twenty20 cricket sensationally collapsed to 49 all out, the lowest score in the IPL and the 10th-lowest in all Twenty20 cricket. Not one man reached double figures. This was only the 10th time in the IPL that a total of 131 or under was defended successfully. 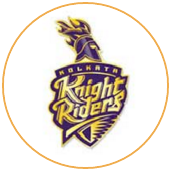 At the halfway mark, Kolkata Knight Riders felt they were about 50 short of the par score, especially after the start Sunil Narine had given them: a 17-ball 34 in the fastest team fifty this IPL. They had collapsed from 65 for 1 to be bowled out only for the third time when batting first in IPL. That fall couldn't hold a candle to Royal Challengers, though, who batted with their edges, starting with a golden duck for captain Kohli.